A holiday should be a time of rejuvenation, exploration and adventure. It should not be a moment of discomfort, irritation or boredom. Too often, luxury vacation getaways offer the same chose. When you want to get away from it all, why settle for anything less than amazing?. Or stay in a penthouse What is more ideal to stay in a stuffy hotel room. We know that comment Posted be in a hotel room, there’s nothing like being at home. When staying in one of the many condominiums or suites The penthouse JacoHolidays.com, you’ll feel as if you were at home. Lie on the couch to watch TV or check your e-Mail or even get to learn more about Costa Rica with our Jaco Tours and Activities. Take a nap after lunch in the luxurious and comfortable bed. If you feel you have the pride, do some of your own meals with fresh ingredients and tasty local suppliers opulent owner of Kitchen. When staying in a hotel, cracked case your space for what is fun. This is not the case with condominium. 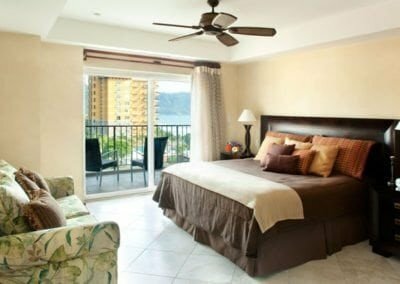 Location, CAN enjoy a full breakfast on your patio or a relaxing massage on your balcony. Nothing better massage thing to get the UN and be able to ride right into a bathtub or bed A description of the location of the condo lets you do all this and more! Jaco Beach Hotel is a 14-room hotel and restaurant, located half a block from the beach in the center of town with swimming pool, bar and sports bar. Close to souvenir shops, ATMs, supermarkets, pharmacies and many bars and restaurants. The hotel is in a quiet street close to all the city has to offer. Jacó is a local active town with casinos, retail stores, surfing, companies are hiring, real estate agencies, treatment center public and private dentist clinic, Fishing in the area, bars and restaurants offering a variety of International dishes. Jaco, Costa Rica is one of the most beautiful holiday destinations Central America. Why settle for a glorious Limited exposure to their environment to stay in a hotel? beach condos or penthouses have lost sight you will never forget. Impressive even begin to describe it. In addition to a view of the ocean you have the opportunity to enjoy our patios and beautifully landscaped gardens. When planning your vacation then remember to stay in a hotel. Instead, try one of our many condominiums and penthouses. You feel you are back home in your house where you can relax and rejuvenate like never before.